Recombinant protein production is a multibillion-dollar market. The development of a new product begins with the choice of a production host. While one single perfect host for every protein does not exist, several expression systems ranging from bacterial hosts to mammalian cells have been established. Among them, yeast cell factories combine the advantages of being single cells, such as fast growth and easy genetic manipulation, as well as eukaryotic features including a secretory pathway leading to correct protein processing and post-translational modifications. In this respect, especially the engineering of yeast glycosylation to produce glycoproteins of human-like glycan structures is of great interest. Additionally, different attempts of cellular engineering as well as the design of different production processes that are leading to improved productivities are presented. 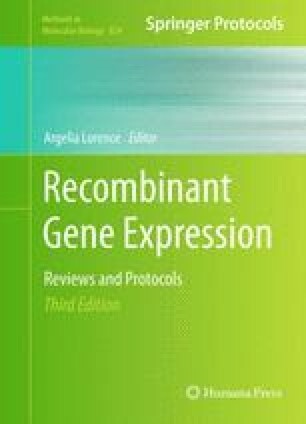 With the advent of cheaper next-generation sequencing techniques, systems biotechnology approaches focusing on genome scale analyses will advance and accelerate yeast cell factories and thus recombinant protein production processes in the near future. In this review we summarize advantages and limitations of the main and most promising yeast hosts, including Saccharomyces cerevisiae, Pichia pastoris, and Hansenula polymorpha as those presently used in large scale production of heterologous proteins. This work has been supported by the Austrian BMWFJ, BMVIT, SFG, Standortagentur Tirol and ZIT through the Austrian FFG-COMET- Funding Program and by FAR 2010 to DP and SYSINBIO to PB. Macdonald, G. (2009) Bio drugs to dominate top ten list by 2014. In-Pharma Technologist. http://www.in-pharmatechnologist.com/Industry-Drivers/Bio-drugs-to-dominate-top-ten-list-by-2014. Accessed 15 October 2010.